We took a little break this week from Halloween crafting and picked up a super cute owl story at our local library, The Little White Owl by Tracey Corderoy and Jane Chapman. A little more about the book: One day a little white owl sets off to see the world. When he meets some beautiful, colorful owls, he can’t wait to share his toast and all of his happy stories. But these pretty owls do not want to be friends with a plain white owl like him…It’s a touching story that celebrates difference and the beauty inside us all. 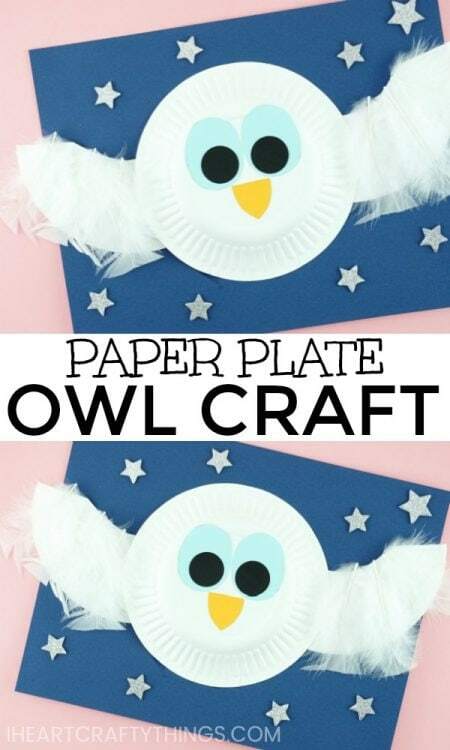 The story inspired us to get out some of our paper plates and create The Little White Owl Craft we are sharing with you today. 1. 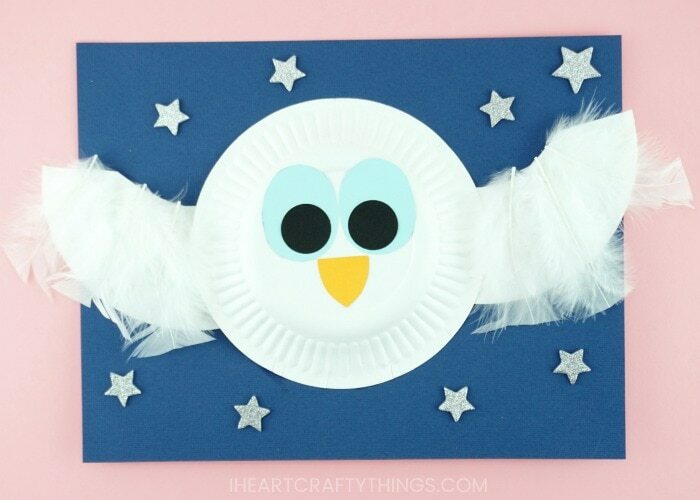 Begin by cutting out the wings for your paper plate owl craft. See the picture below for a reference. 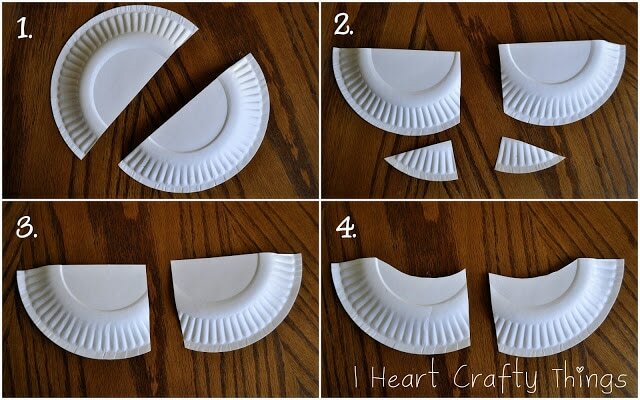 Start by cutting one of your small paper plates in half. Then cut a small section off each wing. To finish the wings, cut a curve at the top of each wing out of the paper plate. 2. Add glue around the outside rim of another small paper plate and glue it onto the center of your dark blue or black cardstock paper. 3. Now add some glue around the edges of the owl wings and glue them on your paper, slipping them underneath the body of the owl. 4. 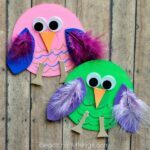 Cut out oval eyes from your blue cardstock or construction paper, black pupils and an orange owl beak. 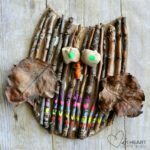 Glue them onto your owl craft. 5. Squeeze a line or two of glue on the wings of the owl. Then place white feathers along the glue on the wings. 6. 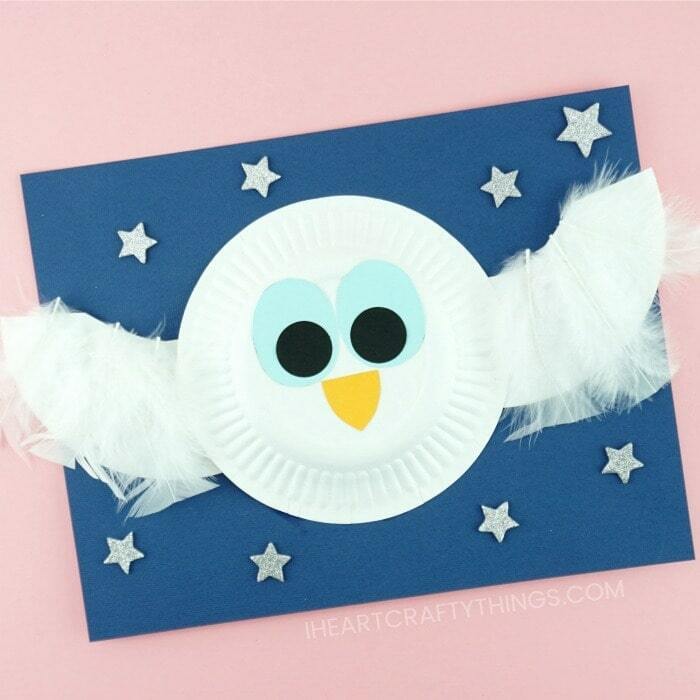 Finish your Little White Owl craft by adding star stickers around your paper. The dark colored background and stars make your cute owl look like he is in flight on a clear night sky. Kids will have a blast with this fun blow painting technique creating Thing 1 and Things 2 for a Dr. Seuss Day. Chicka Chicka Boom Boom is a favorite at our house. 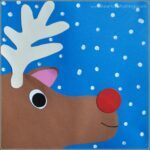 Here is a fun craft to go along with the book that uses cupcake liners. Here’s another fun book-related craft made out of paper plates that goes along with the popular children’s book Corduroy. I LOVE IT!!! It is so cute!!! Great idea! I'd like to know how the story ends. There MUST be a positive outcome. So cute!! My daughter just saw the picture and said I would like to make that. Guess we will be making owls while we ride out Hurricane Sandy. Thanks for the idea! I LOVE this book and can't wait to do this craft with my first graders! This craft is stunning. Another "must do" from your site to add to my list! Thanks for sharing. This is super cute…I will definitely have to share this on my FB page! I am a Preschool Teacher who LOVES all of your creative ideas. I will be sharing this adorable read aloud, and doing the White Owl craft this Thursday! Great use of paper plate and love your idea!